The election in 2016 of mixed race, Bristol born and bred, Marvin Rees was at the time a source of considerable local, national and international attention. His election offered an optimistic new direction for a city associated with slavery, colour barriers and riot. Beyond the city, his victory seemed to signal the continued movement towards the more egalitarian, meritocratic society that generations of Black political leaders, and activists had fought to achieve. In this panel discussion we'll be examining where we are currently in regards to race and Black leadership in Britain today. What adjustments to the current conditions are necessary to allow pathways for Black candidates into the most prominent positions in British politics? What difference could a Black candidate make in terms of structural inequality in the UK political landscape? The discussion will be followed by the premiere of the new documentary The Mayor’s Race which follows Bristol Mayor Marvin Rees' attempts to win the Bristol Mayoral elections in 2012 and 2016.
with Paul Boateng, House of Lords; Sado Jirde, Director of Black South West Network; Tracie Jolliff, Head of Inclusion and Systems Leadership at the NHS Leadership Academy and Victor Adebowale (CBE), one of the first people to become a People's Peer. 17:15 - 17:45 - Q&A with director Loraine Blumenthal, producer Rob Mitchell and Bristol Mayor Marvin Rees. 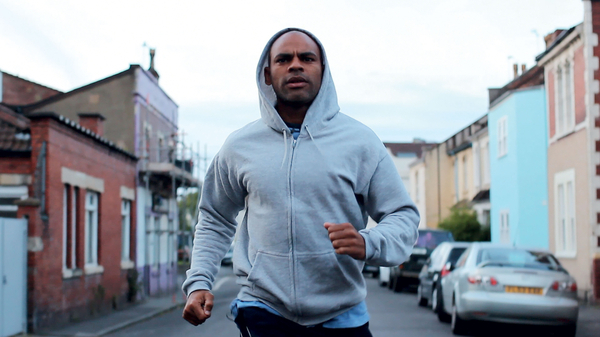 Marvin Rees wants to run for mayor in Bristol. He is eloquent, ambitious and he is mixed-race. Growing up in Bristol's ghettos meant food on the table was not always easy to come by. He saw his black and white family, his friends and community suffering from poverty and exclusion. Now in his 40’s and with children of his own, he wants the power to break the cycles of poverty and injustice he's experienced first hand. The city Marvin wants to lead has a history on race that still echoes into today. It once grew rich from trading Africans as slaves, sparked a UK civil rights fight to parallel the infamous struggles of the sixties in the US. Then Bristol began an uprising in the inner-city that spread race riots to Britain's other black ghettos. Against this historical backdrop Marvin Rees steps into the world of politics. How will he cope with rejection, failure and a deep inner struggle on his journey to the biggest success of his life - becoming the first black mayor of a major European city.